After his wife Kim Kardashian let everyone know that G.O.O.D. Fridays were coming back, 'Ye makes good on his spouse's promise with the release of a new track. Kanye uploaded "Real Friends" to his Soundcloud page. The track is pretty much the opposite vibes of his previous release from last week "Facts." It also leads into a snippet of another new song called "No More Parties in LA" featuring Kendrick Lamar. Apparently Kanye's new album 'Swish' is slated to drop next month. Stay tuned. After his wife Kim Kardashian let everyone know that G.O.O.D. 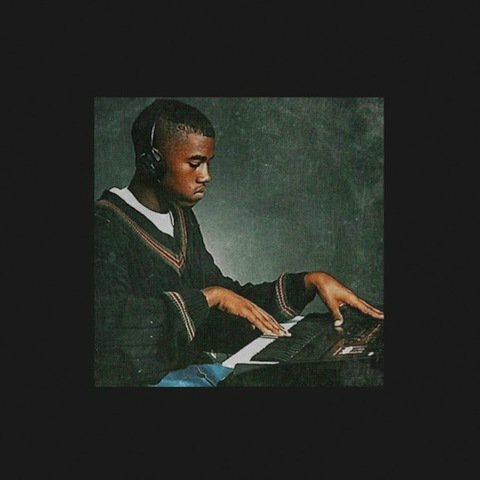 Fridays were coming back, 'Ye makes good on his spouse's promise with the release of a new track. Kanye uploaded "Real Friends" to his Soundcloud page. The track is pretty much the opposite vibes of his previous release from last week "Facts." It also leads into a snippet of another new song called "No More Parties in LA" featuring Kendrick Lamar. Apparently Kanye's new album 'Swish' is slated to drop next month. Stay tuned.